The course on environmental collaboration and conflict resolution brings together students from 19 different countries at the University of Eastern Finland, Joensuu Campus, from 20 to 24 August 2018. The course, entitled Environmental collaboration and conflict resolution: The Crossroads of Forestry, Ecosystem Services and Wildlife, is intended for PhD students in forestry and environmental sciences. The course seeks to further understanding of environmental conflicts and the possibilities of mitigating conflicts through collaborative management, mediation and participatory interventions. The course is both academic and practice-driven. The course is organized in collaboration with the University of Eastern Finland, the University of Copenhagen, the University of Agder in Norway, the Norwegian University of Life Sciences, and ALL-YOUTH and CORE research projects, and is funded by the Nordic Forestry, Veterinary and Agricultural University Network (NOVA) and the Strategic Research Council (SRC). Read more on University of Eastern Finland website! Are you researching energy-related issues e.g. regulation, support policies, energy democracy, citizen energy, or energy politics more widely? Or are you working with experiments and interventions in environmental social science? If yes, the 23th annual colloquium of the Finnish Society for Environmental Social Sciences has something special for you! Energy is the lifeblood of economic activity and social welfare, while simultaneously being at the core of many of the most significant environmental problems. Stronger policy actions have been demanded in order to move the world onto a more sustainable energy path. Without doubt, this will not happen without rigorous resistance of those in the most powerful positions of current energy-related structures. Concerning renewable energy, solar and wind power have gained the biggest investments globally, Denmark and Germany, for instance, being massive investors. In Finland, while in recent years the operational environment has altered and the energy sector have gone through some significant changes, such as implementation of feed-in tariff in 2011 and wind power production being at the verge of becoming market competitive without subsidies, the power wielding in the sector seems to have changed little. For instance, the supported industrial scale production has kept citizen and community energy in the margins. This workshop examines whether the ongoing changes have meant a redistribution of power in the energy sector or do the old power structures still persist. The session is structured as a workshop with no conventional presentations, but 5 minute pitch talk/presenter and a facilitated joint discussion. We invite researchers from multiple fields (academics from projects and incentives from Finland and around the world) to submit discussion papers as a preliminary material for attendees. We welcome papers dealing with various energy-related issues e.g. regulation, support policies, energy democracy and citizen energy, as well as papers operating with a more extensive perspective on the complex totality of energy politics. Please send short synopsis of your argument (max 250 words) to the conveners by September 3, 2018. We aim to compile a commentary on the joint discussion to the versuslehti.fi. Check out the other workshops and read more on the YHYS Colloqvium website. How could today’s complex and controversial problems such as those related to land use, energy or use of natural resources be solved wisely and fairly? Internationally, good results have been achieved by adoption of specific collaborative approaches to planning and decision-making. In Finland, the potential of such approaches is underused. What could we learn from international practice? Join us and be inspired by the lectures of two world class experts on collaboration, prof. Pieter Glasbergen (Netherlands) and prof. Michael Brown (Canada)! Pieter Glasbergen is emeritus Professor of Environmental Studies; Policy and Management at Utrecht University and the Netherlands Open University. Since 2011 he is honorary professor Governance for Sustainable Development at Maastricht University. His research focus is on governance for sustainable development. The articles, reports, and books that he published include both theoretical studies on policy and governance and applied policy research. His main research is on global cross-sector partnerships for sustainable development. He was the first professor of environmental policy in the Netherlands. He chairs the Maastricht-Utrecht-Nijmegen Program on Partnerships (www.munpop.nl) and is the founder of several teaching programmes and research program Governance for Sustainable Development at Utrecht University. Besides academic positions he has experience as a council member and vice-mayor in the city of Culemborg. No registration is needed. Welcome! You can also follow the event online or see the video afterwards here. COREvents is a series of open discussions, lectures and workshops organised by CORE project, funded by the Strategic Research Council at the Academy of Finland. 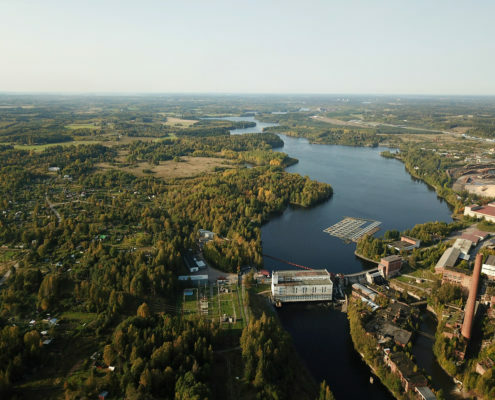 CORE explores the potential of collaborative approaches to environmental planning and decision-making, with the mission to facilitate a collaborative turn in Finland. http://www.collaboration.fi/EN/wp-content/uploads/2018/01/core_slide-1.jpg 430 1500 admin http://www.collaboration.fi/EN/wp-content/uploads/2017/12/core_weblogo-1.png admin2018-03-29 08:43:112018-06-03 07:00:54COREvents #1: Collaboration and conflict resolution in environmental decision-making - why is it needed and what makes it work?